PEARLAND: Divjot “Div” Walia, a 17-year-old senior at Glenda Dawson High School, in Pearland is one of 16 students recently awarded the Gold Medal Portfolio in the 96th annual Scholastic Art & Writing Awards. The Gold Medal Portfolio is the highest honor in the Awards and comes with a $10,000 scholarship. 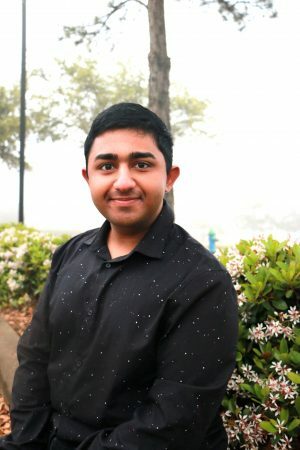 Walia, a 17-year-old from Pearland, is one of 16 students selected to receive the Gold Medal Portfolio, which includes a $10,000 scholarship, in the 96th annual Scholastic Art & Writing Awards. Walia’s nationally recognized writing portfolio “Vellichor” is a collection of personal memoirs and critical essays through which he explores controversial topics and ethical dilemmas that have shaped his passions and opinions. This year, 340,000 works of art and writing were submitted for adjudication by a distinguished panel of creative-industry experts. As a Gold Medal Portfolio recipient, Walia will have his work publicly displayed in the Art.Write.Now.2019 National Exhibition and will be honored on June 6th at Carnegie Hall as part of a weeklong national celebration in New York City.